One of the fastest v-hulls on the market with it unique pad design. This baby comes with a bravo 1, 502 mag mercruiser. 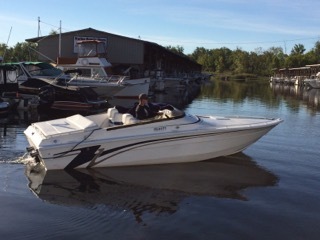 Running just over the 70 mph mark makes it one very affordable performance boat.